Toscolo Chianti is a fascinating testament to the fact that fine wine really does break down boundaries, bring people together, and allows for rulebooks to be ripped up and re-written with flavour, character, and excellence forever at the fore. The winemakers behind this brilliantly contradictory label are Neil and Maria Empson, who as their names suggest, are not native Tuscans. Once upon a time, the idea of outsiders setting up a winery in this most hallowed of Italian wine regions would have been beyond belief. Thankfully, times have changed - and there’s something refreshing about the fact that the Empsons aren’t driven by familial obligation, after having inherited some crumbling ancestral winery. Instead, they’re moved by what should be at the heart of every great wine: a real passion for making something which stands out from the crowd, and which doffs its cap to tradition while squarely facing the future. That’s not to say that Neil and Maria don’t have wine in their blood; Neil comes from a winemaking family in New Zealand (indeed, his grandfather was one of the original Marlborough region pioneers), and Maria is from Rhode Island, but studied art in Florence where she developed a real love for Italian red wines. The classic Tuscan region of Chianti is home to the best-known expression of Sangiovese in the world - an inimitable mix of fruitiness and savouriness, bright red fruits balanced by earth and spice, and gentle tannins that leave you ready for the next glass. The Toscolo 2016 really over-delivers - bright cherry fruit with a layer of violet perfume, backed up by notes of bay leaf, thyme and gentle earthiness. The tannins and the acidity really intertwine beautifully to create a succulent finish that makes the wine oh so drinkable. You can always trust the Tuscans when it comes to red wine which simply burst with character. 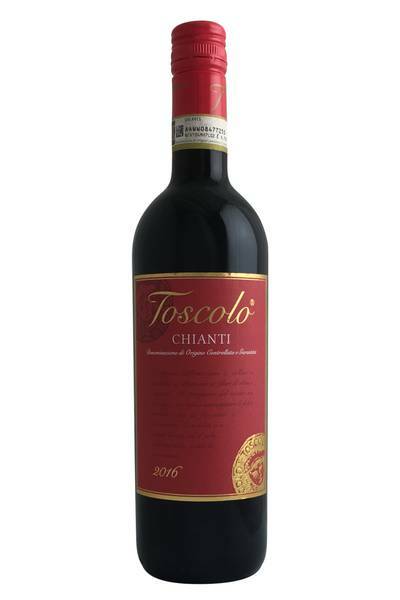 This Chianti is a great example of quality Italian produce, and like all Sangiovese wines, it’s brilliant for pairing with a wide range of dishes. It’s going to match up very nicely with dishes which put rich, juicy tomatoes front and centre, or which boast a thick and unctuous tomato sauce. It’s also going to be a great match for pizza and quesadillas, and any vegetarian dishes which make great use of butter and olive oil. 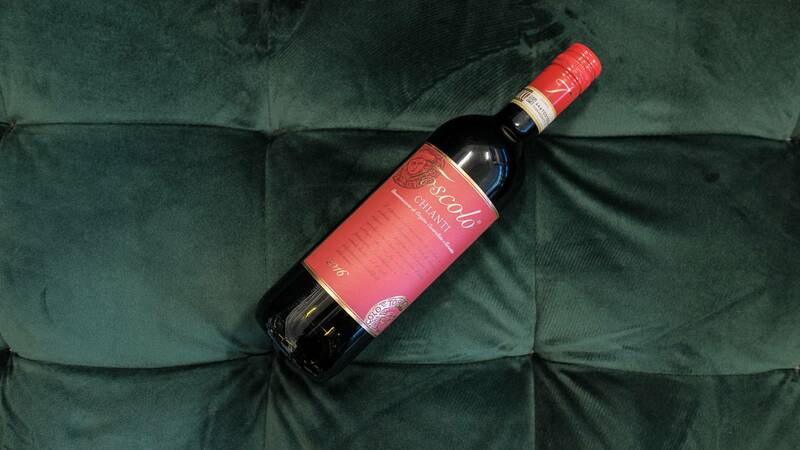 Try it with a classic Italian meat or veggie pasta dish, and you’ll be in food pairing heaven!